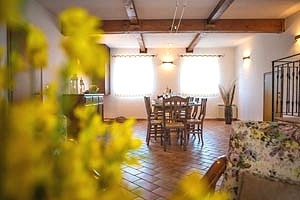 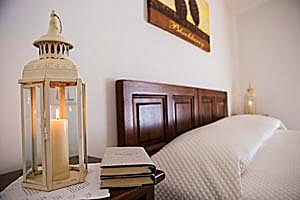 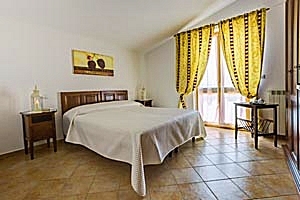 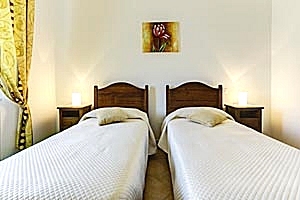 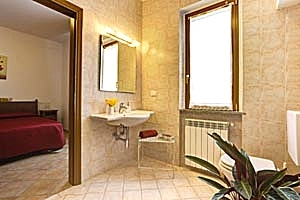 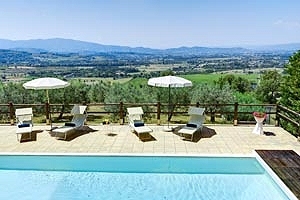 The villa (accommodation for 6/8/10 people) is located in the Tuscan countryside, near Arezzo. 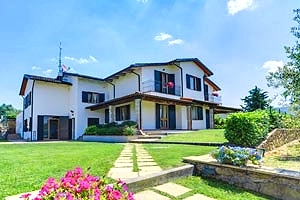 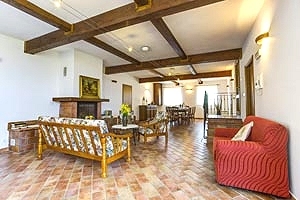 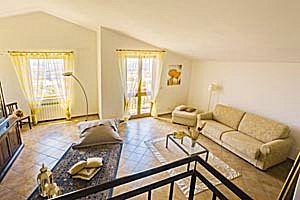 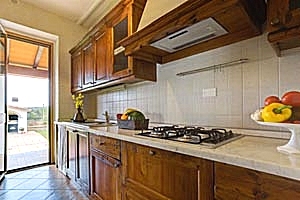 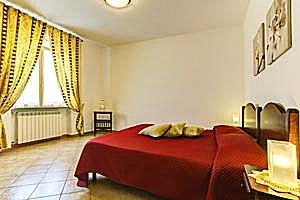 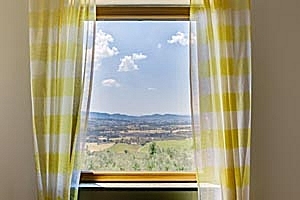 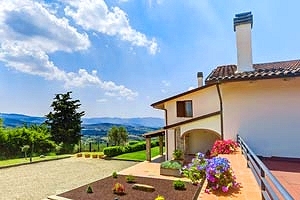 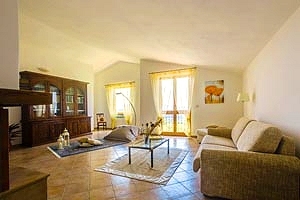 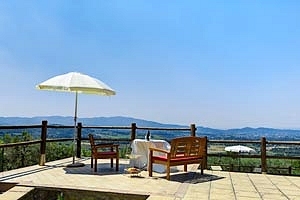 From the villa there is a fantastic panoramic view on the valley and on the city of Arezzo. 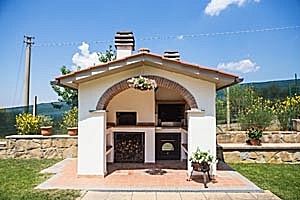 In the park that encloses the villa there is a swimming pool (5x10x1,00 – 1,80) that can be used from May until September, a barbecue and a wood-burning oven. 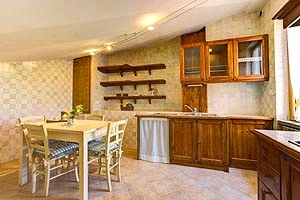 The villa has any kind of comfort (dishwasher, wash machine and Sat TV). 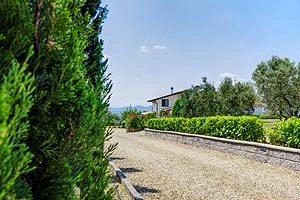 Few km far from the villa there are some tennis courts. 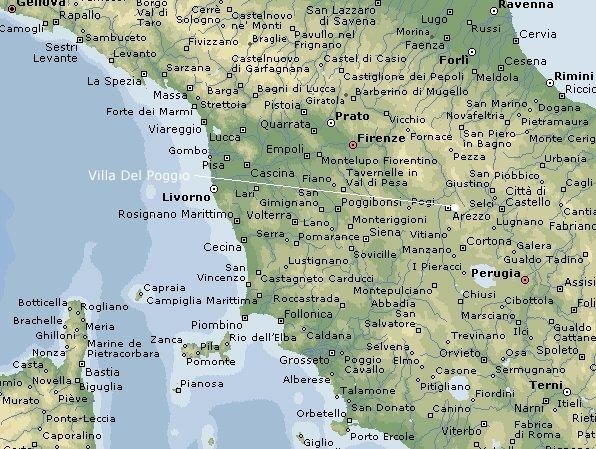 Distances: Arezzo 6 km - Cortona 20 km - Florence 50 km - Siena 70 km. 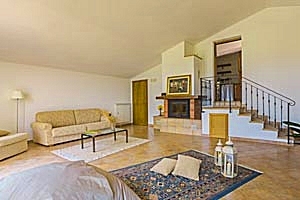 The villa (5 bedrooms and 4 bathrooms) is dislocated on 3 floors. 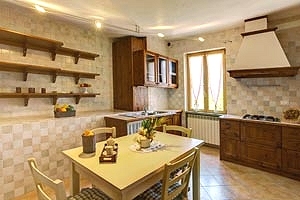 On the ground floor are a sitting room with a little kitchen, another sitting room, a fully equipped kitchen, 2 bedrooms and 1 bathroom. 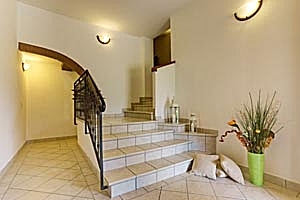 On the first floor are a sitting room, a little kitchen, 2 bedrooms and 2 bathrooms. 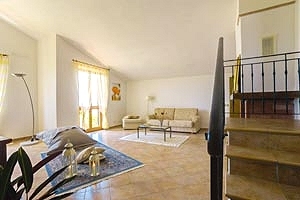 On the second floor is an attic divided into a sitting room, a kitchen, a bedroom and a bathroom.